Gigi Hadid and Blake Lively are longtime friends, so it makes sense that Harper's Bazaar chose Lively to conduct the interview for Hadid's cover story for the May issue of the magazine. The women chatted on topics ranging from their high school proms to photoshopping to, naturally, social media. 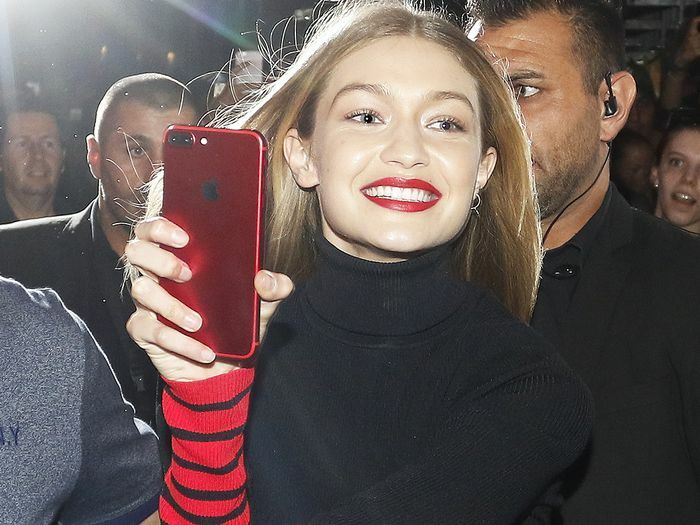 When the conversation shifted to Instagram (the women have a combined following of 60 million), Hadid offered up a few words of wisdom that are refreshing to hear in a world filled with staged Instagram posts. She told Lively, "It was never methodical; I just did it. As time went on, Instagram started to seem forced. People would go get coffee just to take a picture, and that's when it began to seem sad. Take pictures of things because you're experiencing them. Don't experience them to take the picture." (Lively fittingly replied, "Amen." If you scroll through Hadid's feed, you'll notice that she really does practice what she preaches. Sure, there's a fair amount of promotion for her latest campaigns and shoots, but interspersed between those are candid moments that aren't perfectly edited, but they're perfectly spontaneous. See a few examples (along with her new Harper's Bazaar cover) below, and read the rest of the interview here. Loved getting to open your beautiful and empowering show this week @prabalgurung! Your friendship and support mean the world, THANK YOU ??????? ?